This year at Baselworld, Bell & Ross released two new heritage style watches that aim to bring a splash of color to an otherwise dreary collection. 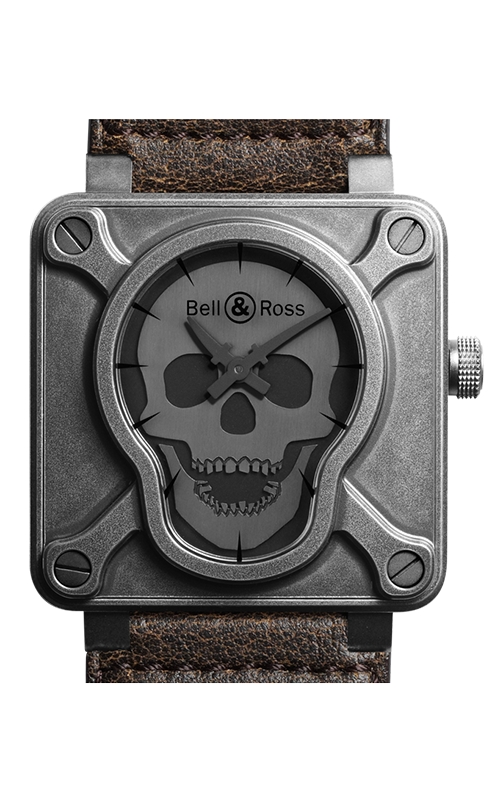 Hovering over the collections tab on the Bell & Ross website shows nine different ranges, all represented by watches with black dials, white hands and usually at least 3 Arabic numerals. It’s nice that Bell & Ross have a sense of restraint and don’t throw reference after reference into their catalogue until it resembles a jumbled, incoherent mess (like Tissot), but too much uniformity can be just as bad. 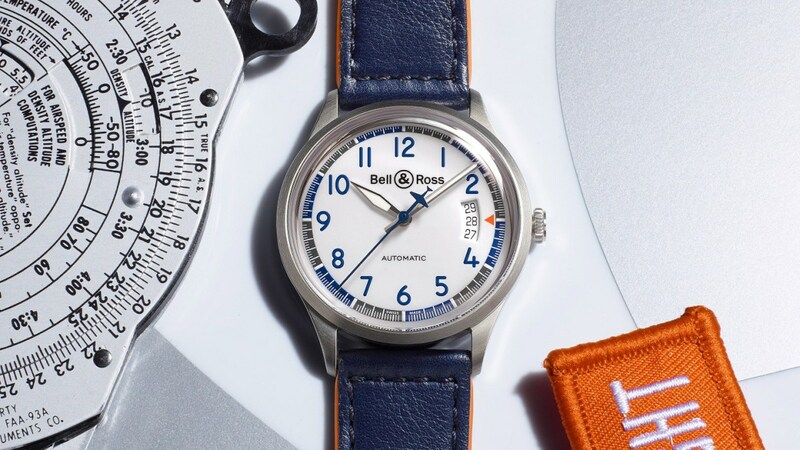 As Bell & Ross were only founded in 1992, I imagine it must be difficult trying to come up with heritage pieces that a) feel like they could be based off a plausible vintage model that doesn’t exist and b) aren’t derivative of other watches. These two watches, the time and date V1-92 Racing Bird and the V2-94 Racing Bird chronograph walk that line with mixed results. The 38.5mm V1-92 Racing Bird is powered by a modified Sellita SW300-1 and the 41mm V2-94 is powered by a modified ETA 2892-2. Both watches are limited editions with only 999 pieces of each to be made. Aaron Shapiro of ABlogToWatch aptly pointed out that both of these watches look like other watches. 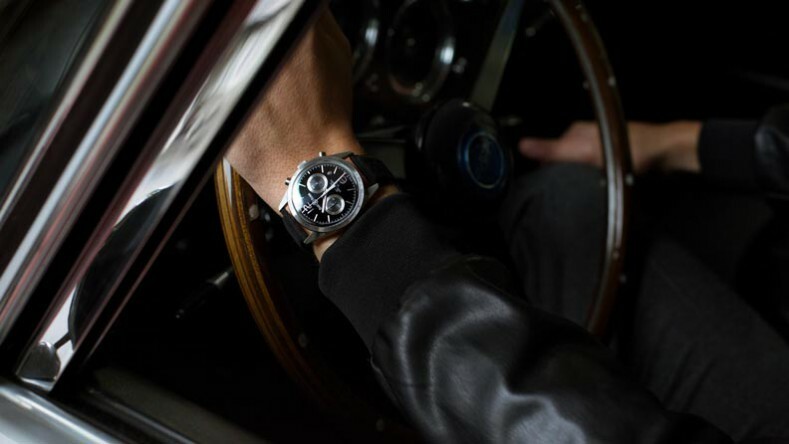 The time and date only V1-92 Racing Bird looks like the IWC Mark XVII and the V2-94 Racing Bird looks like the Tudor Heritage Chronograph (remember when Tudor made watches other than the Black Bay?). The V1-92 is far too similiar to the Mark XVII for it to pass without comment. The extended date window on both watches is a true motif of IWC design and I do wonder why it was included, rather than a something less identifiable. Whilst I understand the comparison Shapiro makes between the V2-94 Racing Bird and the Tudor Heritage chronograph, I don’t think the design similarities are as prominent as in the V1-92. 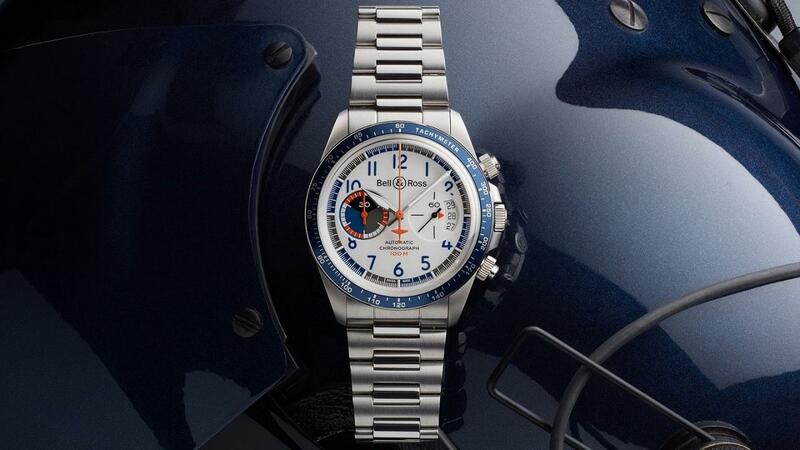 The bright blue and orange color scheme is very reminiscent of the colorful 70s racing chronographs Bell & Ross didn’t get a chance to make (by the virtue of not existing yet) but in truth, I see less of the Tudor Heritage and more the Gulf Oil Monaco released by TAG Heuer in 2007. Whilst I do like the colored chronograph sub-dial at 9 o’clock, which is very reminiscent of the best that 1970s funk design had to offer, I’m not a big fan of the intruding date wheel which sullies the usually sanctified space of a sub-dial. To be truthful, what I find most interesting about these watches aren’t actually the watches themselves, its the concept plane design that they are inspired by. Why does it look like the plane is upside down? Where does the pilot sit? 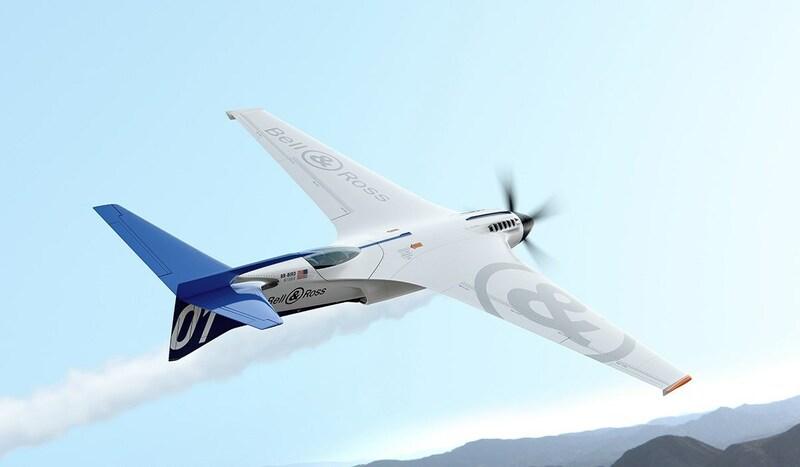 How much money would it take to get me to fly in one? (The answer is not enough). But with all this said, I’m glad to see Bell & Ross venturing away from black and white, stoic pilots designs and towards something more fanciful. For more info, visit Bell & Ross online.